Osprey (Pandion haliaetus) eggs were collected in 14 states in 1970–79 and analyzed for organochlorine pesticides, polychlorinated biphenyls (PCBs), and mercury. Moderate shell thinning occurred in eggs from several areas. DDE was detected in all eggs, PCBs in 99%, DDD in 96%, dieldrin in 52%, and other compounds less frequently. Concentrations of DDT and its metabolites declined in eggs from Cape May County, New Jersey between 1970–72 and 1978–79. Eggs from New Jersey in the early 1970s contained the highest concentrations of DDE. Dieldrin concentrations declined in eggs from the Potomac River, Maryland during 1971–77. 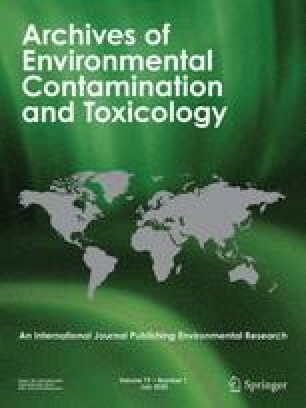 Five different contaminants were significantly negatively correlated with shell thickness; DDE was most closely correlated. Ten percent shell thinning was associated with 2.0 ppm DDE, 15% with 4.2 ppm, and 20% with 8.7 ppm in eggs collected from randomly selected nests before egg loss. Shell thickness could not be accurately predicted from DDE concentrations in eggs collected after failure to hatch, presumably because the eggs with the thinnest shells had been broken and were unavailable for sampling. DDE was also significantly negatively correlated with brood size. Other contaminants did not appear to adversely affect shell thickness or reproductive success.